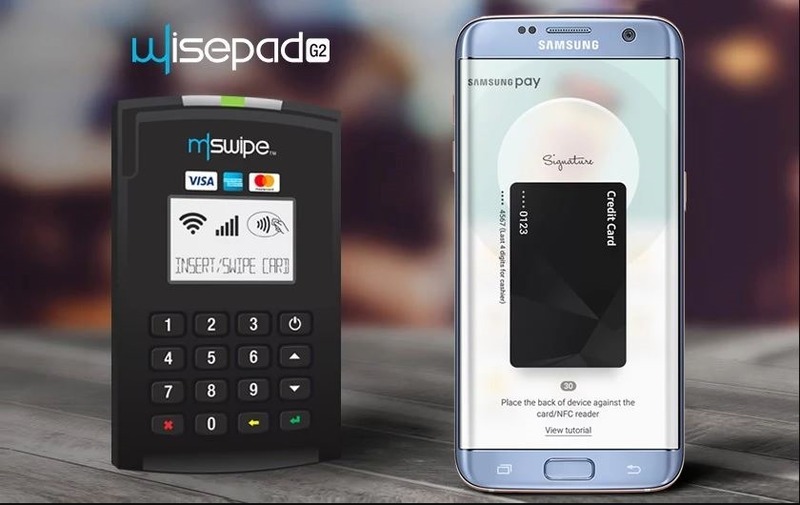 Mswipe has today announced that it has enabled Samsung Pay at its terminals. The independent POS merchant acquirer and network provider have said that the partnership will enable tap and pay on the go facility for Samsung Pay users on its 2 lakh Mswipe terminals across the country. Samsung Pay, mobile payments service wwas launched in India on March 22. “By enabling Samsung Pay, we are offering lacs of users an option to make swift, secure and contactless digital payments at our terminals,” said Manish Patel, Founder and CEO, Mswipe. The access will allow users to make contactless payments at merchant locations which accept digital payments via Mswipe terminals and acceptance platform. “Payment technology is evolving rapidly and Samsung Pay is a great example of how innovation will continue to make digital payment more convenient and desirable for customers. At Mswipe, we have anticipated this and built terminals that are future-ready so that our merchants can accept payments seamlessly, even when there is a technology shift,” CEO Mswipe added. Recently, Sodexho, the meal voucher and employee Service Company had partnered with Mswipe, which led to gaining of over 3 million user database by the merchant. Now, the Mumbai-based merchant will significantly gain after rolling Samsung Pay services throughout its terminals. Samsung Pay works with select models of the company’s Galaxy line of smartphones – Samsung Galaxy Note5, Samsung Galaxy S7, Samsung Galaxy S7 Edge, Samsung Galaxy S6 Edge+, Samsung Galaxy A7 (2016 and 2017) and Samsung Galaxy A5 (2016 and 2017). The move will help Mswipe to gain significant users under the Samsung Pay umbrella, making it another addition to other non-plastic payment methods. “Samsung Pay has been designed to be the smartest and most convenient method to make digital payments today. This tie-up will enable us to make Samsung Pay ubiquitous and acceptable at even the smallest and remotest of merchants across the country”, said Sanjay Razdan, Director – Product Planning – Samsung India Electronics. Earlier in April, Samsung declared that it support Unified Payments Interface (UPI) payments in India. The collaboration is supportive to the existing cashless initiative by the NDA government. To make payments, Samsung Pay customers need to choose their preferred debit/credit card when accessing Samsung Pay, scan their fingerprint and just tap their device on a Mswipe terminal to complete a purchase. If you have a Samsung handset, Go ahead download Samsung Pay on your phone and try using touchless payment method. Do let us know your experience using it as well! "Samsung Pay Comes on MSwipe; Over 2 Lakh Terminals Now Offer Samsung Pay Frictionless Payments", 5 out of 5 based on 3 ratings. IndusOS Is India’s 1st Aadhaar Powered Mobile OS; Has Iris Based Instant Authentication!